Cafe Des Arts, with its French heritage building and simple yet fulfilling menu (think baguette sandwiches, home-made iced tea and masala chai), now has another reason for you to stop by a�� aA� pop up store. 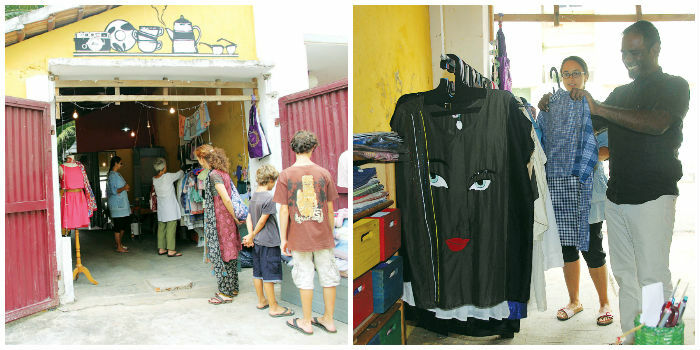 The Garage has the feel of a charming yard sale, but caters to the creative crowd in Pondicherry. a�?Pondicherry has several designers and artists, and I was thinking of a way to promote them,a�? begins owner Eva LBR, who has been calling the city her home for 15 years. a�?That will be just enough time to keep people interested. We want some kind of movement, which is the aim of a pop-up store,a�? she says. The pop-up is open to people selling just about anything, as long as it is unique and perhaps, quirky. a�?The main idea is to keep the harmony with the rest of the cafe. For example, we have quirky rings and bags this time. We also have stuffed toysa��cats and dogs of different sizesa��which are extremely cute,a�? 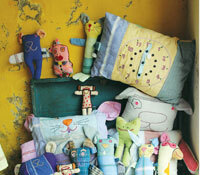 she says, revealing that the first week of sales was a huge hit, especially with the expat crowd. Last year, Eva attempted a mini pop-up at the cafe, where she had invited stores like Bidisha Samantaraya��s LivingArt Lifestyles and Permirra, a local boutique. While Eva plans to retain the menu, she has expanded the cafe. a�?We use the entire building now and we have 10A� extra covers,a�? she says. A cook herself, Evaa��s speciality is Vietnamese cuisine, especially soups. And when she is not at the store, you will find her at the Bodhi beach where she loves swimming or long walks with her dog. a�?I am an antique freak so I love to go and check out the shops on the ECR,a�? concludes the entrepreneur from New Caledonia, France.